This 3-Part webinar series from Dr. Becky Bailey disrupts the cycle of trauma by bringing new awareness to our current trauma epidemic and building healthy, healing relationships through self-regulation, connection and resilience interventions that have the power to heal individuals, communities and generations of those who suffer. The 3-Session Webinar Site License is designed for organizations facilitating group learning experiences. Perfect for professional development, staff trainings, and as a complement to Conscious Discipline book studies. Your Site License grants access and use the video sessions and session-by-session participant guides for 1-year from the date of purchase. Trauma is epidemic in our society. It is estimated that 70% of all people in the United States have experienced trauma at some point in their lives, translating to 224 million hurting children and adults. Most of us have experienced trauma ourselves or know someone impacted by trauma. Before we can bring healing to ourselves, our friends, our family members, our co-workers, our communities and the children in our care, we must first seek to understand how trauma works. 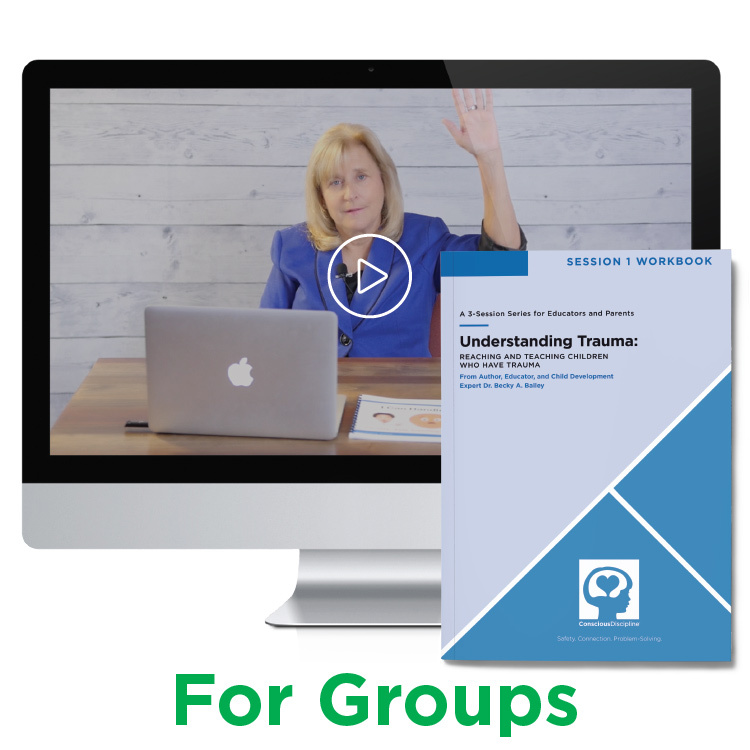 Understanding Trauma: Reaching and Teaching Children with Trauma provides both an informed knowledge base and specific strategies for healing trauma. Click here to read in-depth session descriptions and view video previews. Site License access expires one year from original date of purchase. The customer is permitted to use and present the course materials for and in connection only with the organization associated with the particular site license purchased and its members. This purchase creates a limited license to present Conscious Discipline course materials to member classes and small groups only. E-Course site license content to this webinar series may not be resold or used for profit. ANY UNAUTHORIZED USE, COPYING, OR REPRODUCTION, INCLUDING ANY AND ALL DIGITAL DISSEMINATION, OF CONTENT IS STRICTLY PROHIBITED. Conscious Discipline content is protected in whole and/or in part by state and federal copyright laws, trademark laws, and international treaty provisions. All title and copyrights in and to Conscious Discipline course content, including but not limited to intellectual property as well as any images, photographs, animations, video, audio, music, text, electronic applications, and accompanying printed materials incorporated into Conscious Discipline course materials are owned by Conscious Discipline and Dr. Becky Bailey.